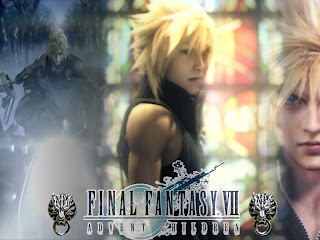 Final Fantasy VII Advent Children is a 2005 CGI film directed by Tetsuya Nomura and Takeshi Nozue and produced by Yoshinori Kitase and Shinji Hashimoto. It was written by Kazushige Nojima. 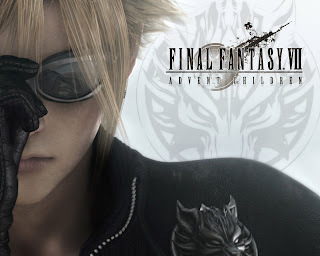 The film is based on the highly successful 1997 console role-playing game Final Fantasy VII. 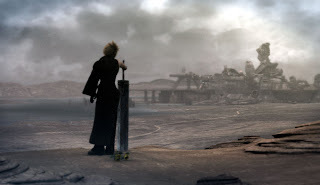 It is set two years after the events of the game, and follows Cloud Strife as he unravels the cause of a mysterious plague called "Geostigma" that has beset the population. In 2005, the film received the "Maria Award" at the Festival Internacional de Cinema de Catalunya, and at the 2007 American Anime Awards it was awarded "best anime feature". As of 2006, the DVD and UMD releases of Advent Children have sold over 10.5 million copies worldwide. Two years after the events of Final Fantasy VII, the survivors of Midgar have begun to build a new city, Edge, on the outskirts of the old metropolis. A strange disease known as "Geostigma" has arisen. After Cloud's showdown with Sephiroth, he has been living with Tifa in Edge. Marlene and an orphaned boy named Denzel have been entrusted to their care. After receiving a message from Tifa, Cloud is attacked by three men, Kadaj, Loz, and Yazoo, who believe that he has hidden their "mother". The leader, Kadaj, ends the battle as he discovers that Cloud does not have their "mother". Cloud responds to a message from Tifa, who tells him that the Turks have a job for him. At the meeting place, Cloud discovers that Rufus Shinra is still alive. Rufus attempts to enlist Cloud's help to stop the trio, but fails as he refuses and leaves. Kadaj arrives and demands that Rufus tell him where to find his "mother". It is revealed that his "mother" is Jenova's remains, and is somehow connected to the cause of the Geostigma. The trio are planning a new "reunion" that will culminate in an assault on the Planet. Loz arrives at Aerith's church in an attempt to find Jenova's remains, and is confronted by Tifa. After battling Tifa, he receives instructions on his cell phone to capture Marlene. Kadaj and the gang begin collecting children infected with Geostigma, including Denzel and the uninfected Marlene, and take them to the Forgotten City. 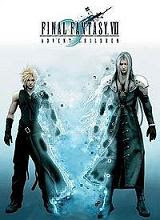 Cloud attempts to rescue them but fails, and is quickly defeated, and is then rescued by Vincent Valentine, who reveals to Cloud what the trio is seeking and that it could result in the return of Sephiroth. Cloud agrees to return to Edge and face Kadaj in battle. In Edge, the trio call forth several monsters to attack the populace, including the summon "Bahamut SIN". While Cloud's companions deal with Bahamut SIN, Reno and Rude try to take care of Yazoo and Loz until Cloud arrives. Cloud and his friends are able to dispatch the monsters and Bahamut SIN. In a nearby building, Rufus reveals to Kadaj that he has been in possession of Jenova's remains all along. He throws the box containing it from the edge of the building. Kadaj dives after the remains and recovers it, but Rufus shoots the box and damages it. Kadaj spots Cloud in pursuit of him, and is followed to the ruins of Midgar. They battle each other in Aerith's church. Kadaj destroys the flowerbed, which releases an outflow of Lifestream-infused water that cures Cloud's Geostigma. Kadaj flees to the ruins of Shinra Headquarters, where they continue their fight. He distracts Cloud with the box containing Jenova's remains, which he absorbs into his body and transforms into Sephiroth. He reveals that once those who die from the Geostigma return to the Lifestream, he will be able to control it and use the Planet as a vessel to travel space in search of a new planet for him to rule. Cloud defeats Sephiroth, who dissipates, leaving a weakened Kadaj at Cloud's mercy. Aerith begins to pour healing rain across Edge, curing the people of their Geostigma. She tells Kadaj to be at rest, who believes her voice to be that of his "mother", and he is taken by the Lifestream. Cloud is then shot by Yazoo in the back, who is also succumbing to the healing rain. He and Loz prepare one final blast at Cloud, resulting in a large explosion that disintegrates them and engulfs Cloud. 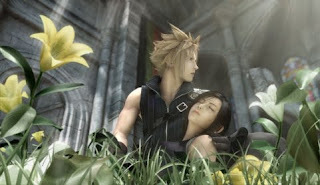 Afterward, Cloud appears surrounded by a white light, and Aerith and Zack are heard. Zack tells Cloud that his place is not with them yet, and sends him back. Cloud awakens in a pool of Lifestream-infused water in Aerith's church, surrounded by his friends and the citizens of Edge. After curing the Geostigma-infected children, he turns and sees Aerith crouching by some children. As she stands and walks to the doorway, she turns back to assure Cloud that she is all right, and steps into a white light with Zack. The main objective of this blog is to serve animation lovers with various information at one place. All the informations, images, songs & videos contained in the blog are collected from various other websites.This blog operates as an index and database of animation related content found publicly available on the Internet. I do not take responsibility for the content hosted on such third party websites. I do not claim copyright of any informations, images, songs & videos shown on this blog. If you want any content on this blog to be removed due to copyright violation, please feel free to contact me.